KASAI Elite Grappling Championships announces the main-event superfight for ‘KASAI Pro 2’. KASAI World Lightweight Champion Renato Canuto faces New York’s two-time EBI Featherweight Champion and Fight to Win champion Eddie Cummings in a non-title matchup at 160lbs. Cummings is a two-time winner of the Eddie Bravo Invitational at 145lbs. 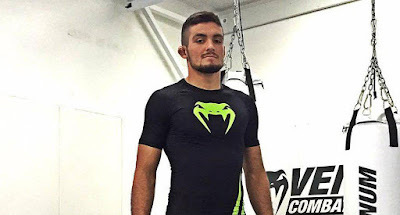 A pioneering member of the Danaher Death Squad under renowned instructor John Danaher at Renzo Gracie Academy, ‘Wolverine’ is known for a tenacious approach to heel-hook attacks, with a lethal 91 percent finish rate in all competitive wins. Canuto returns to KASAI for the first time since December 2017, when he won an eight-man tournament featuring the world’s greatest grapplers at 155lbs to claim the inaugural KASAI World Lightweight Championship. In addition to Canuto vs. Cummings, ‘KASAI Pro 2’ will showcase a round-robin tournament at 185lbs to crown KASAI’s first World Middleweight Champion. Names already confirmed include DJ Jackson, Richie Martinez, Matheus Diniz, Craig Jones, Dante Leon and Nick Calvanese, who won KASAI’s middleweight qualifier last weekend.